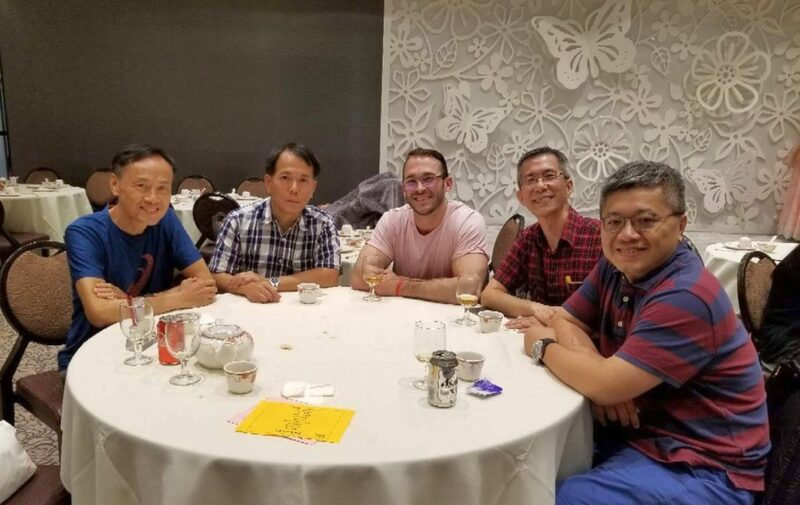 While Saint Mary’s University Alumni Hong Kong Chapter is an official organization with a legal status in Hong Kong, we do have some informal gatherings with SMU staff members from time to time. Here’s the latest one that occurred on Monday, October 1, 2018. Garett White, a staff member of Saint Mary’s University and had stationed in BNUZ in Zhuhai for about two years before switching to another position, was on his way back to Halifax upon completion of a business trip. He stayed in Hong Kong for a day while in transit. Our committee members had a dinner gathering with him and learnt from Garett about the latest development of our alma mater. For all SMU alumni living outside of Hong Kong, if you have a chance to travel to this part of the world and need to get some information or advice for your trip, we may be able to offer you some very good advice, so let’s get connected.